A young Muslim millionaire who has died from cancer, spent the last three years of his life giving away his entire wealth to those in need while defying his illness. 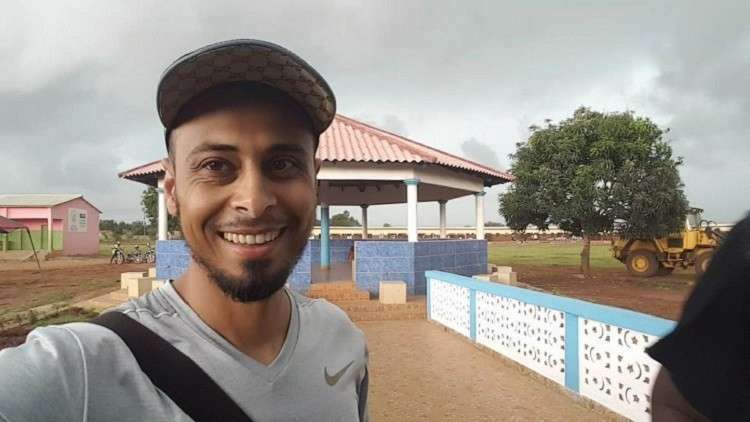 Ali Banat, an Australian who became known internationally for his emotional video Gifted with Cancer, captured viewers’ hearts as he explained how his worldly possessions meant nothing to him once he discovered he did not have long to live. After doctors told him that he had seven months to live, Mr Banat sold his successful business in Sydney and flew to Togo, embarking on an emotional trip that would define the final years of his life. The African country is one of the world's poorest and moved by his experience of meeting local Muslims he decided to use his money and to raise funds to build a mosque and school, encouraging others to join in his endeavour by establishing a charity, Muslims Around The World – Project. His possessions included a Ferrari convertible, a diamond bracelet and dozens of pairs of designer sunglasses and shoes, which he said he had donated to “a couple of brothers in Africa”. “Driving something like this doesn’t really cross my mind anymore, it is not something I would want to do anymore,” he said in the video, next to the Ferrari. He added that the smile of one child who he had helped to clothe was worth more to him than owning his Ferrari. Many Muslims commenting on social media considered his death in Ramadan as a gift from Allah for his good deeds. His charity was set up to help to continue his good deeds after his death. The businessman turned humanitarian, who was from Greenacre, Sydney, died last Tuesday.